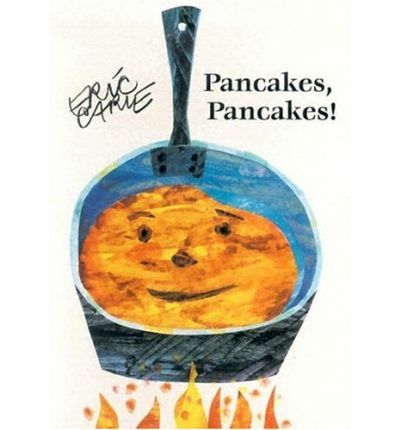 I hope you all had a wonderful Pancake Day yesterday! We took a slightly different route this year – still flying-by-the-seat-of-our-pants to make crepes on a school night, but this year, we threw in the added challenge of making a gluten-free version. We followed our tried-and-tested recipe from Chocolate & Zucchini, with a couple of tweaks. We replaced the flour with Cup4Cup, Thomas Keller’s stellar gluten-free flour, and added more milk to thin out the batter. The end result was a crepe that was so pitch perfect, you would never in a million years guess that it was gluten-free, which is really the goal, right? Kids topped it with lemon and sugar, and then on round two, spread it with Nocciolata, an organic hazelnut spread with cocoa and milk, and were in dessert heaven. As for me, I went au natural, scoffing it straight sans spread and it was delicious. Here’s the recipe. In a large mixing-bowl, roughly combine the flour and eggs. 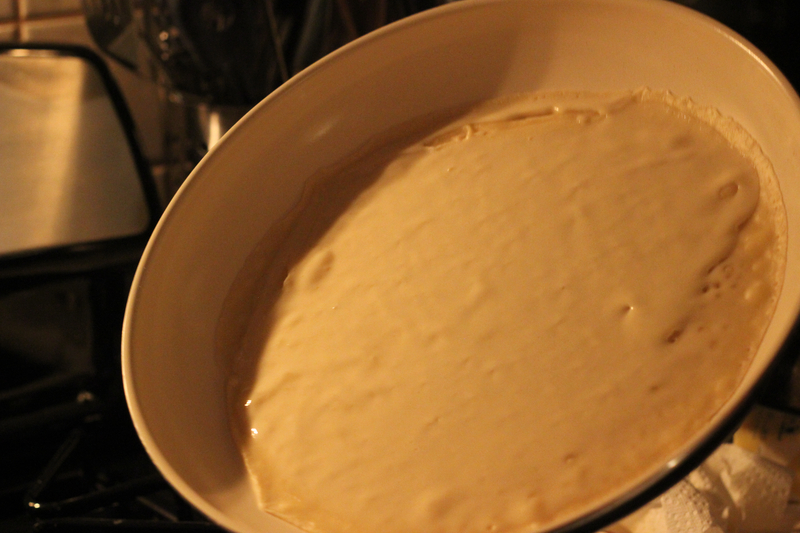 Whisk in the milk, adding it slowly to avoid lumps. Add in the sugar, vanilla, oil and rum (if using), and whisk to combine thoroughly. Whisk in the water. Cover with plastic wrap and refrigerate for at least two hours, preferably overnight. Take the bowl of batter out of the fridge, and give it a whisk to “revive” it. Put a thick-bottomed, low-rimmed frying pan over high heat. Wait until it gets very hot (hot enough to make a drop of water sizzle). Melt a dab of butter in it, and spread the butter evenly in the pan with a wadded paper towel (watch your fingers). Ladle a little batter in the pan (just enough to cover the pan thinly, we are not making pancakes here), and move the pan around so the batter forms an even disk. Wait until the edges of the crêpe start to pull slightly away from the sides of the pan, peek underneath, and flip the crêpe with a spatula when it is nice and golden. Cook for a few more seconds (the second side cooks much faster) and serve immediately, topped/stuffed/rolled/spread with the sweet condiment of your choice. Did you read this book as a child? This cover brings back so many memories! It’s that time again! Pancake Day (AKA Shrove Tuesday)! Last year, I shared our go-to crepe recipe, courtesy of Chocolate & Zucchini. This year, I’m tempted to try this fool-proof (well, we’ll just see about that!) recipe from The Guardian.